In this session we’ll dive deeper into a specific use case for using Axure repeaters. As mentioned in my previous video on repeater feature – it’s severely underrated one, especially when it comes to making smart product lists, account lists etc. And in this video we will cover exactly that – how to simulate a high fidelity prototype for account management feature. 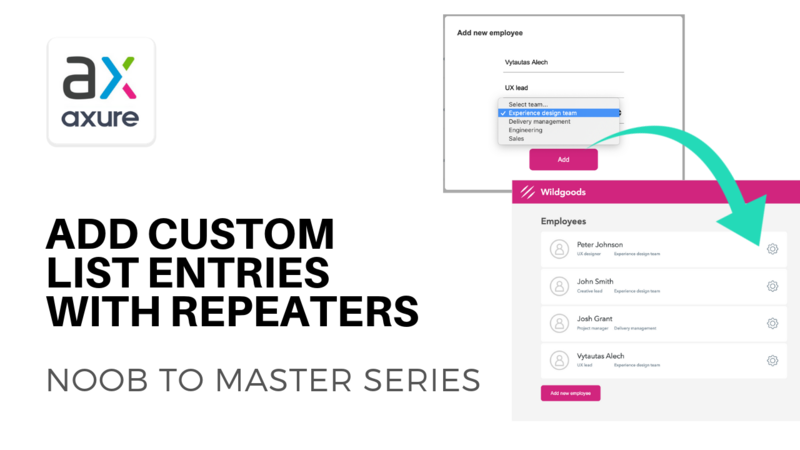 Watch how you can too add custom and infinite entries to predefined template.